A crazy combination of lighting elements all at sunset. 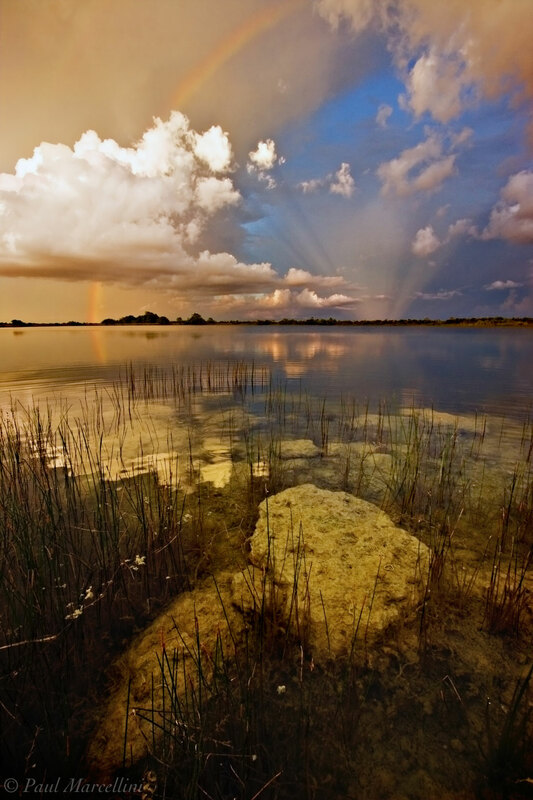 A double rainbow and anti-crepuscular rays reflected in little Sweet Bay Pond. Photo © copyright by Paul Marcellini.